On a recent trip to Seattle I set out to check out a few breweries located outside of the Downtown Core. 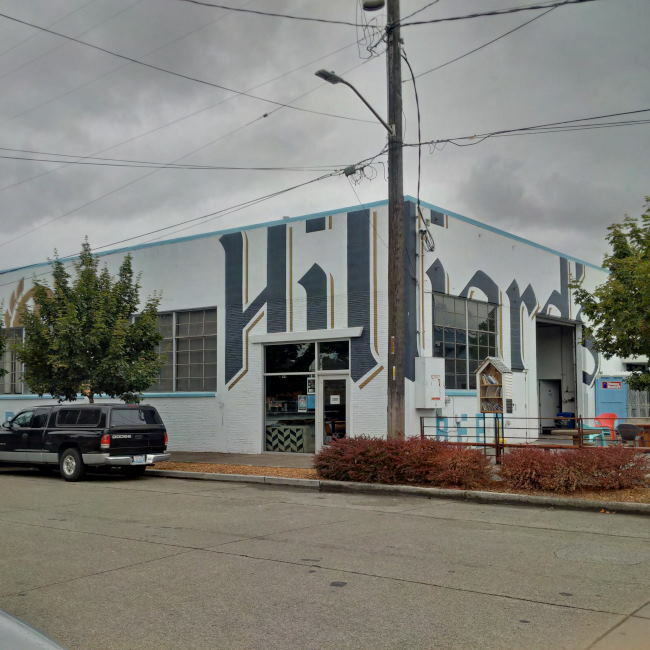 I decided on the Ballard neighborhood as there was a high concentration of breweries and one brewery in particular that I have been enjoying locally in Vancouver for a while. That brewery was Hilliar’s Beer and it was my first stop. When you arrive you first notice that they have a nice patio out on the side of the brewery. Once inside you find a tasting room and that shares a room with the brewery. Starting with the tap room you find a nice little bar with a bunch of different beer to try. They also have a few big re-purposed tables and chairs. You are able to get growler fills here as well as buy tall cans of their products and some other swag. Basically right behind the bar area you will find the fermentation tanks. off to the side the actual brew house can be found. For the amount of Hilliard’s Beer making it up to Vancouver is was very surprised to see how small this operation really is. Inside their cooler they have tanks as well as lots of kegged products. Not everything that Hilliard’s Beer brews is available in Vancouver and I found a few really good ones on tap that were quite exciting. I look forward to the next time I end up in Seattle as I will make sure to stop back in for a glass or two of beer. This entry was posted in Beer Travel, Brewery and tagged ballard, brewery, craft beer, craft brewery, hilliards beer, patio, seattle, tasting room, washington.